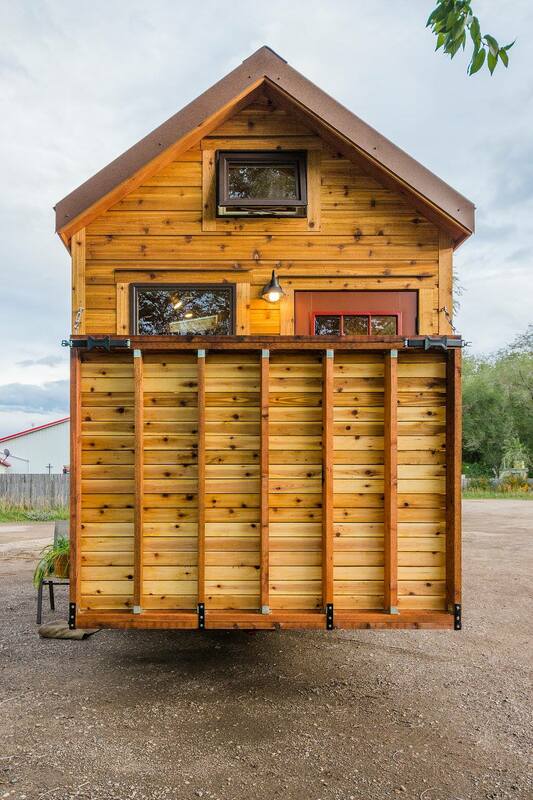 The perfect tiny home for Colorado mountain living! 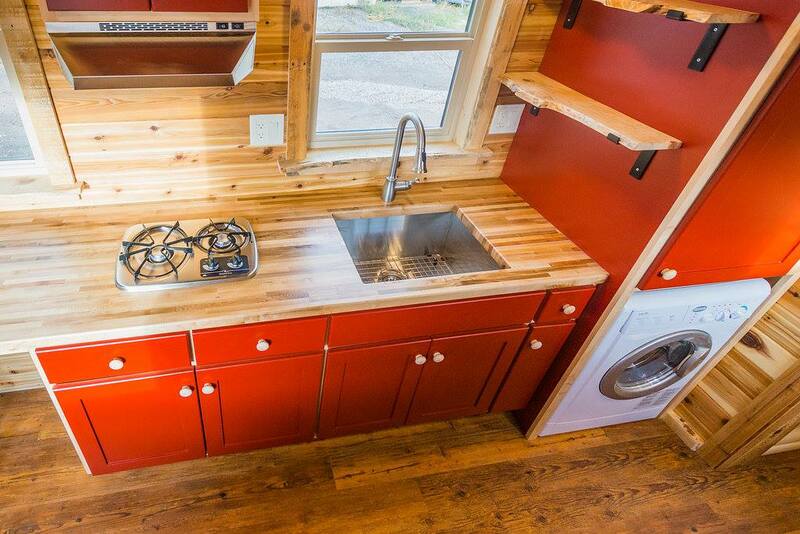 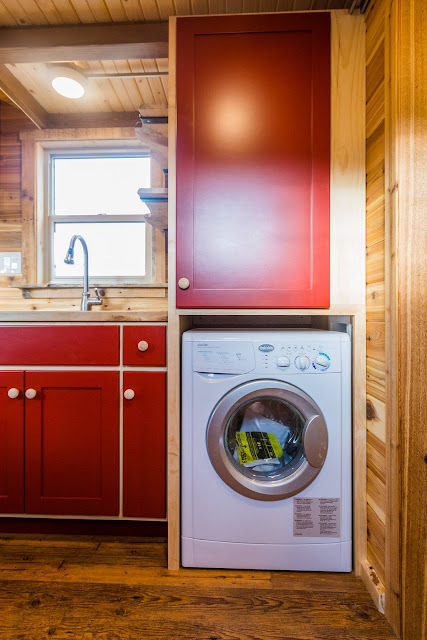 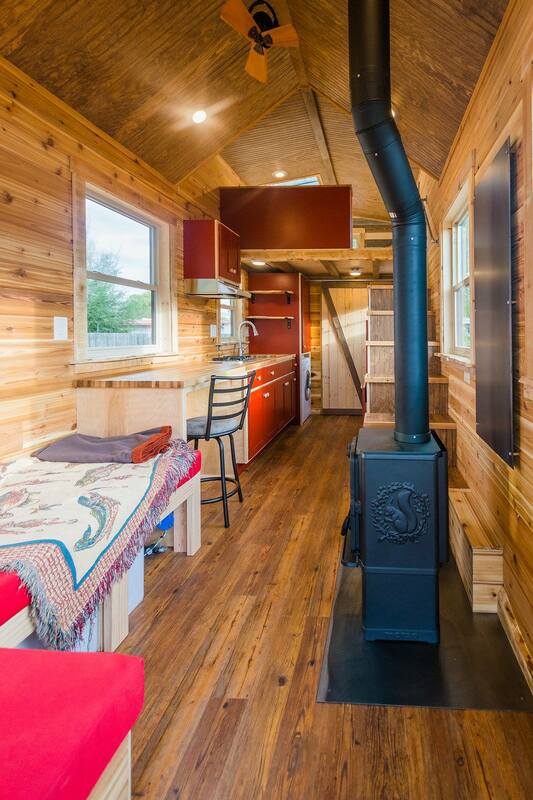 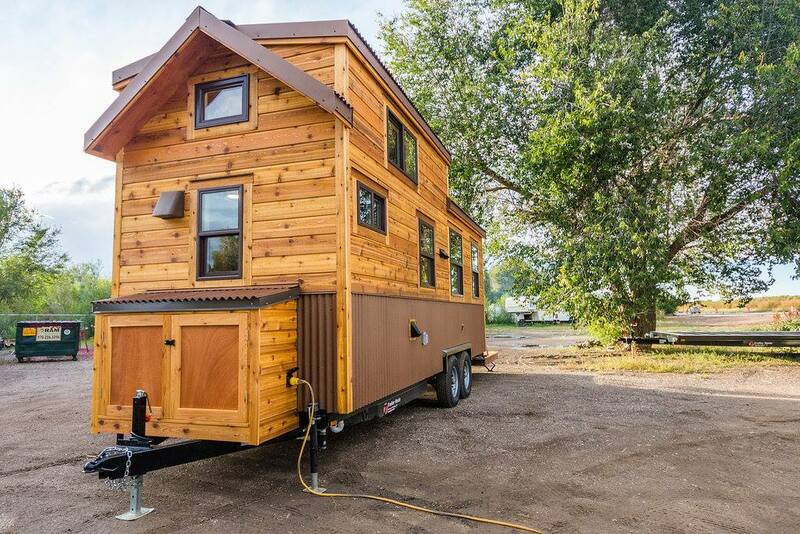 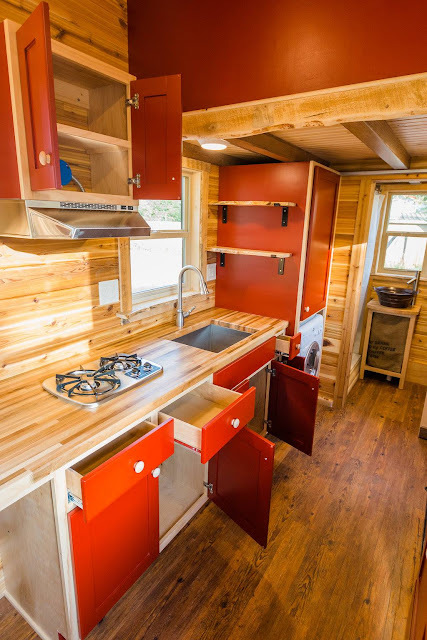 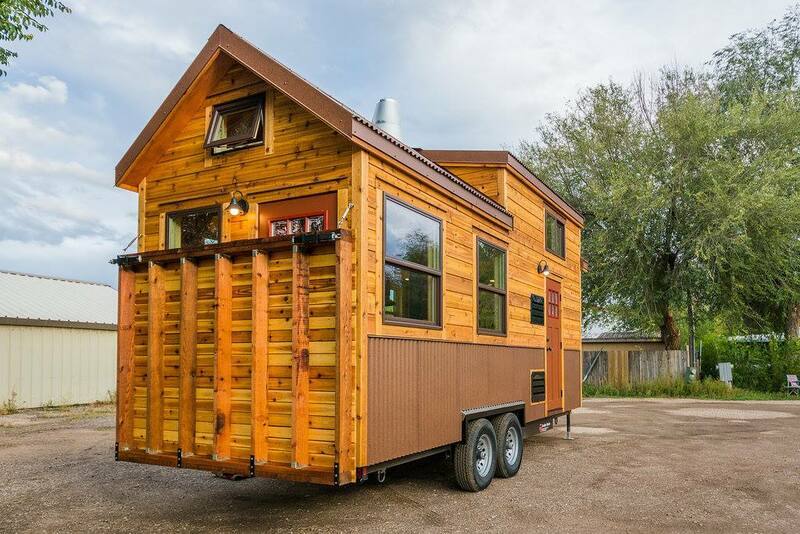 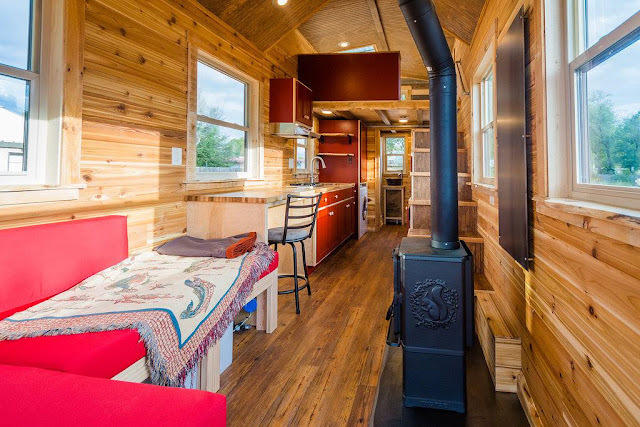 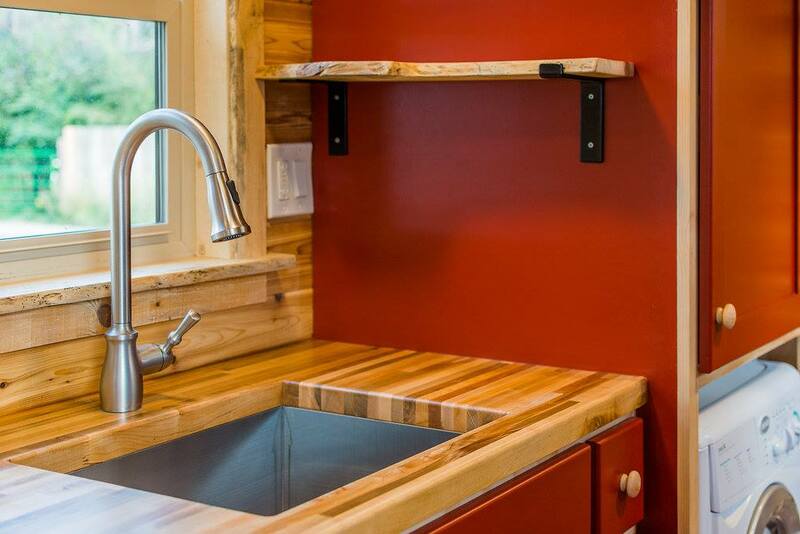 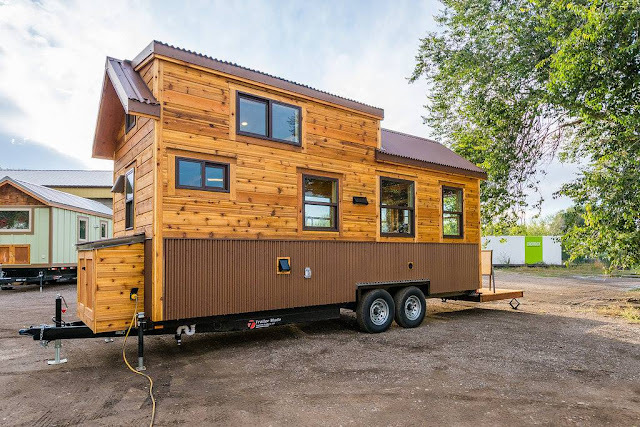 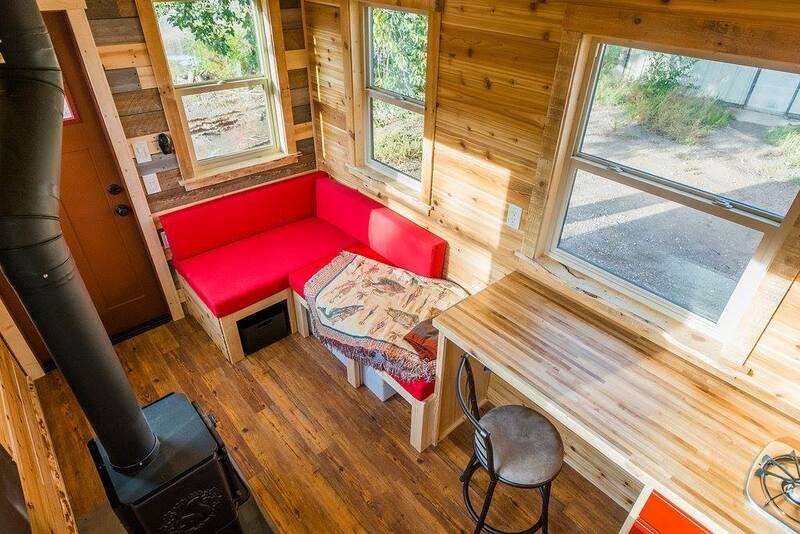 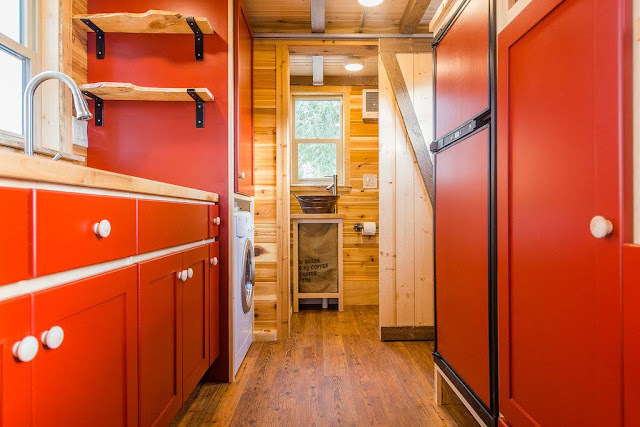 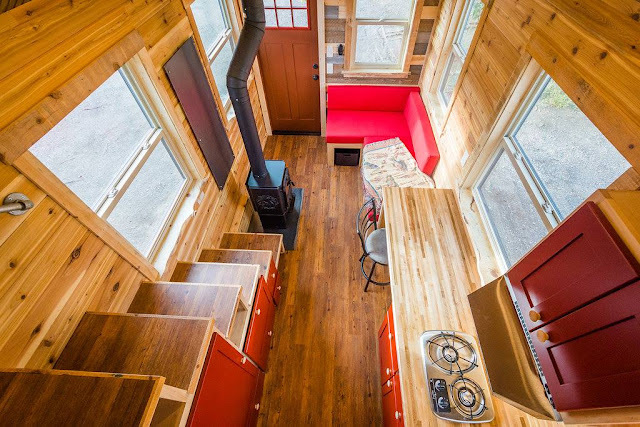 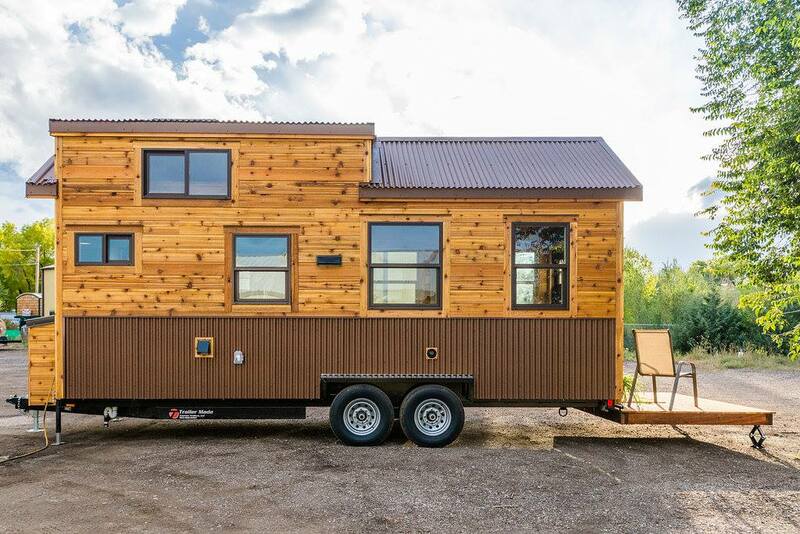 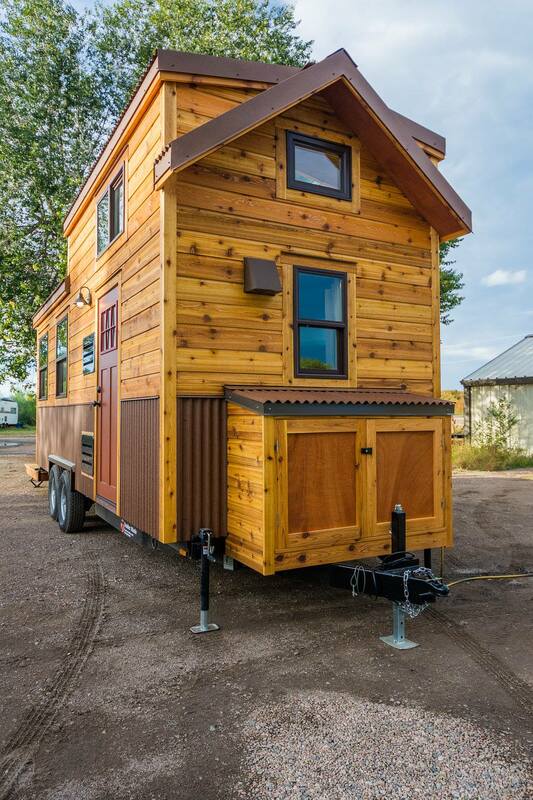 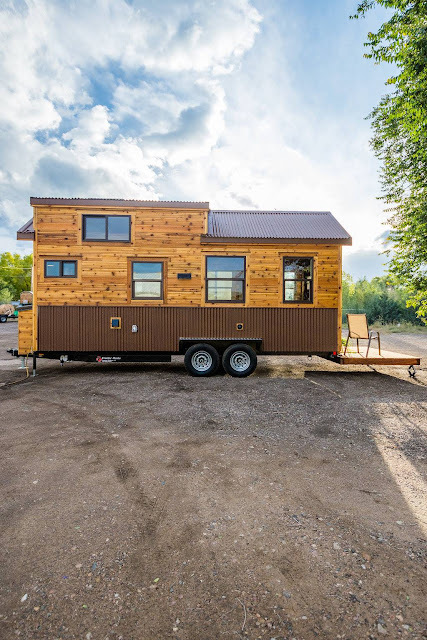 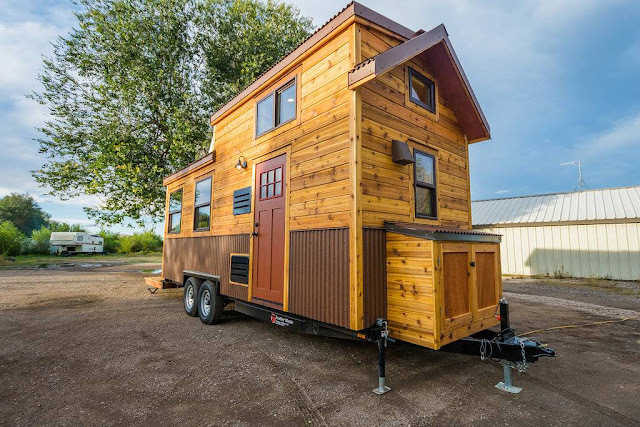 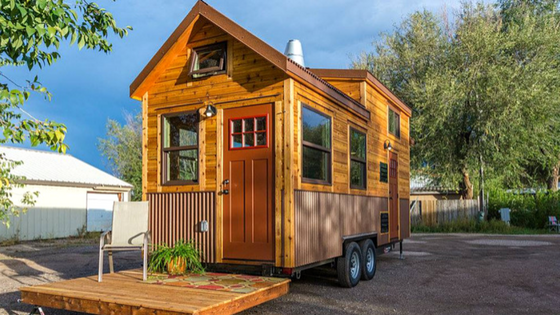 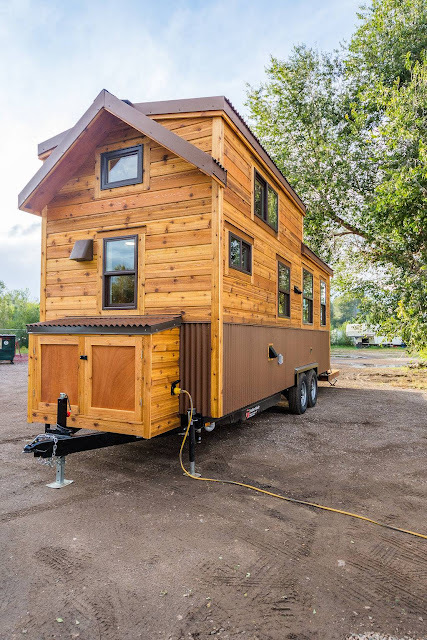 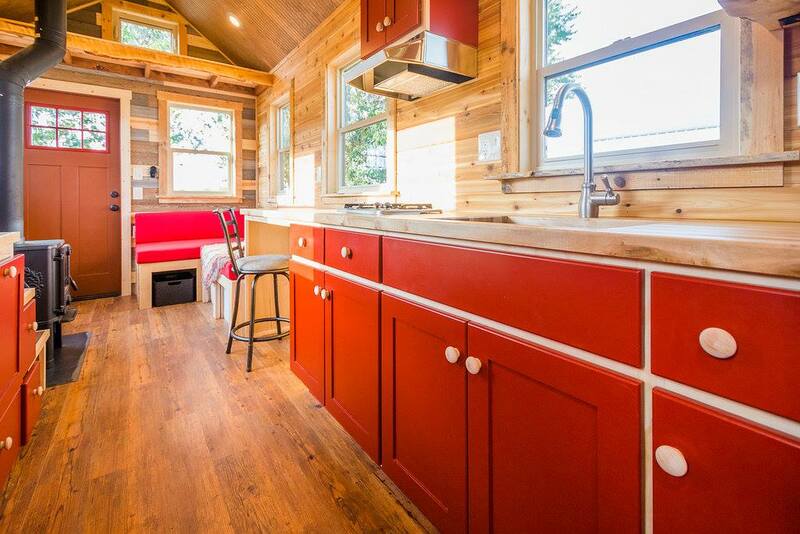 Designed and built by Mitchcraft Tiny Homes, this 22’ home on wheels is a custom home that’s totally off-grid! 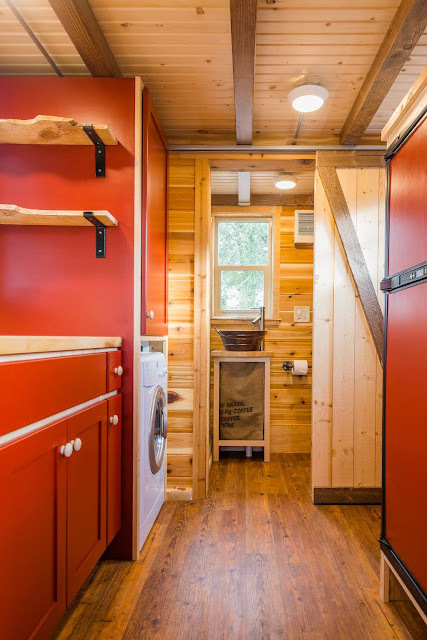 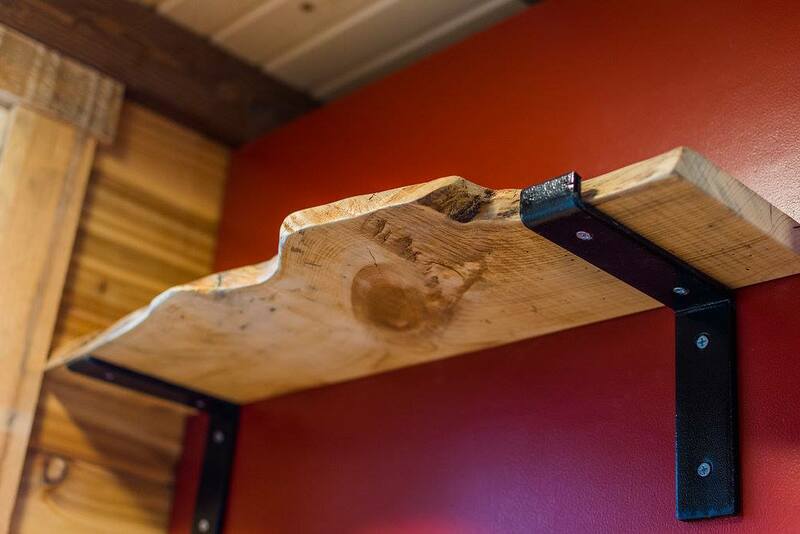 The home may be small, but its efficient and functional design helps to create the most out of a limited amount of space. 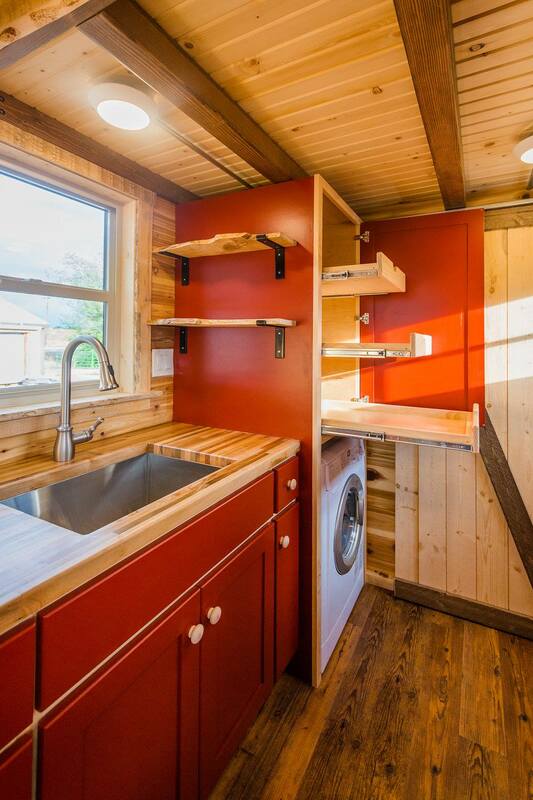 The kitchen features 8’ of counter space, a two-way refrigerator, and plenty of storage space including a trash/recycling bin under the stairs. 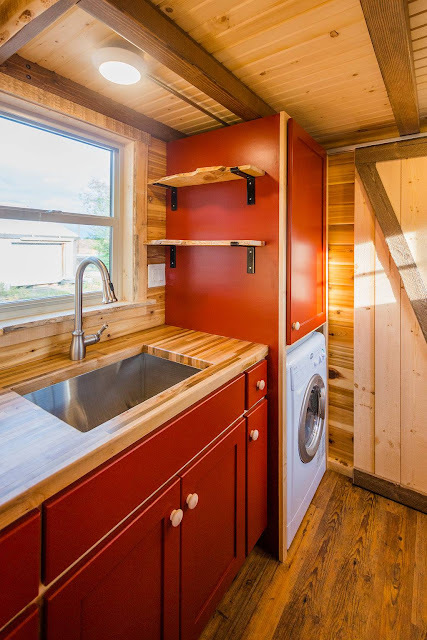 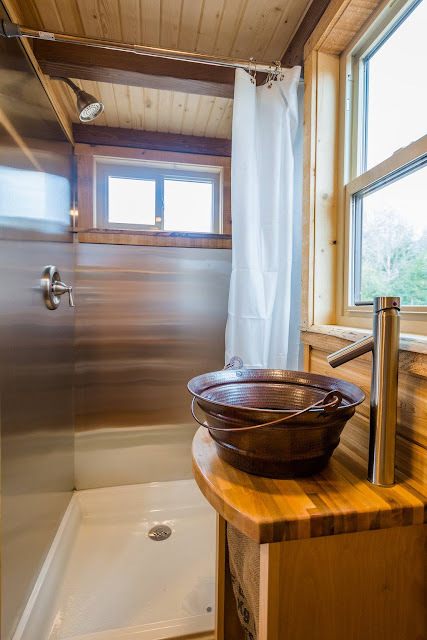 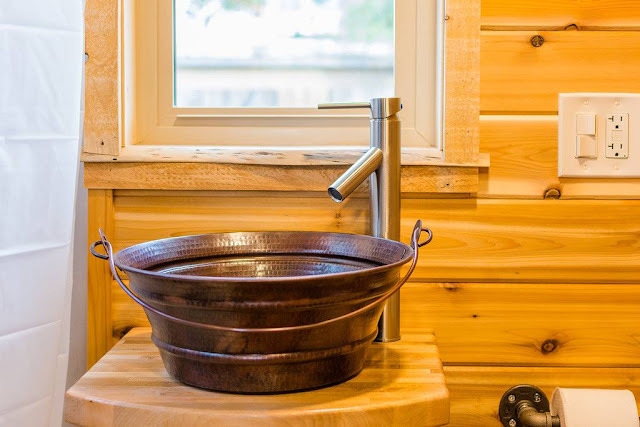 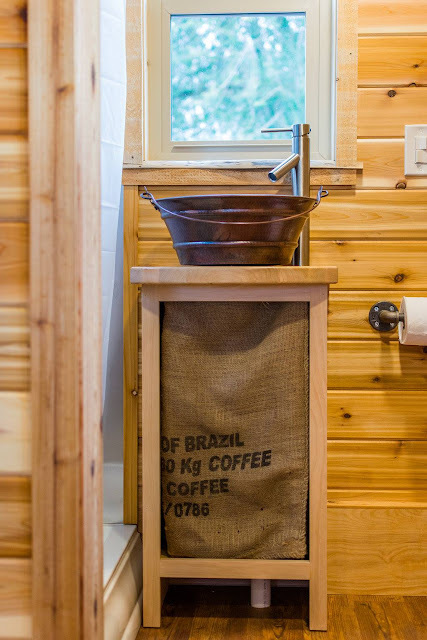 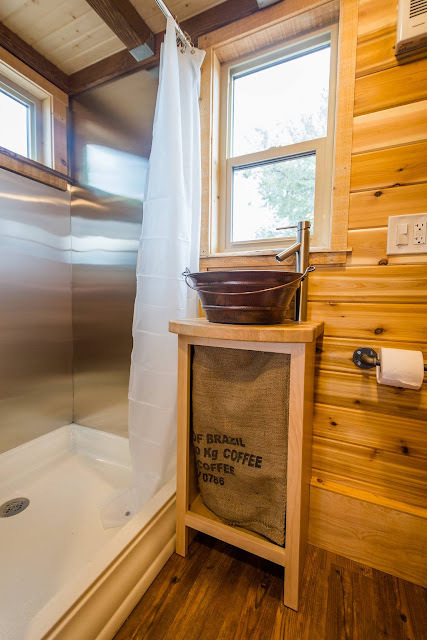 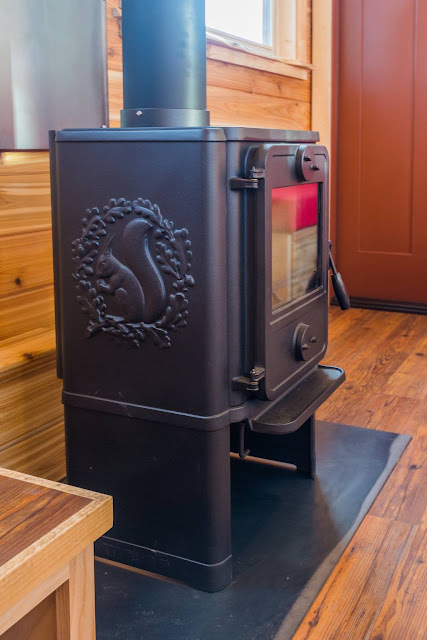 There’s also bar-style dining for two, a bathroom with a composting toilet, and a living room with a wood burning stove to keep you snug in the colder months. 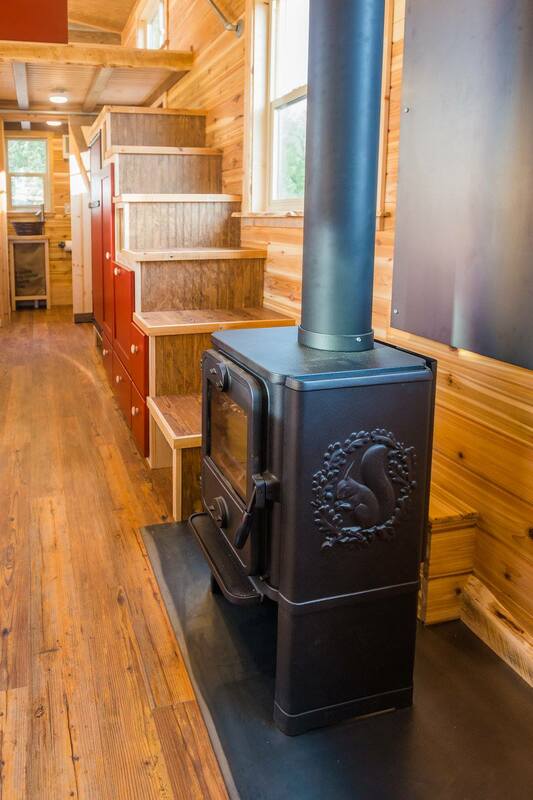 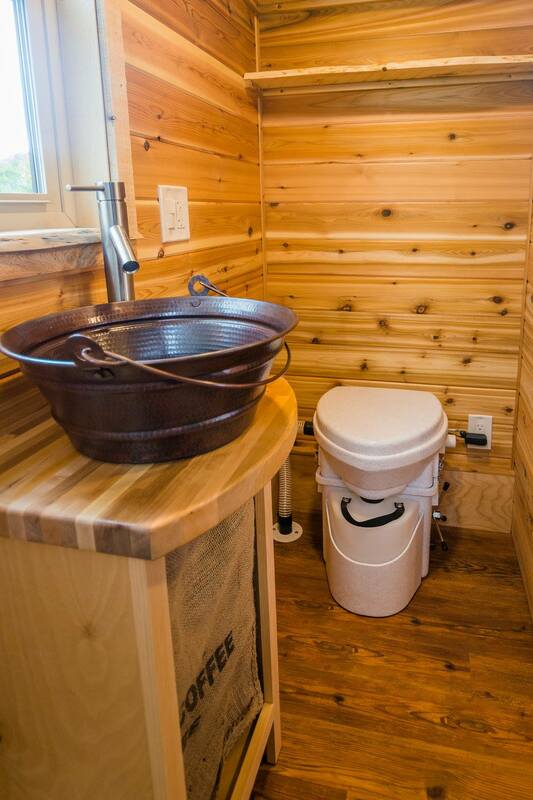 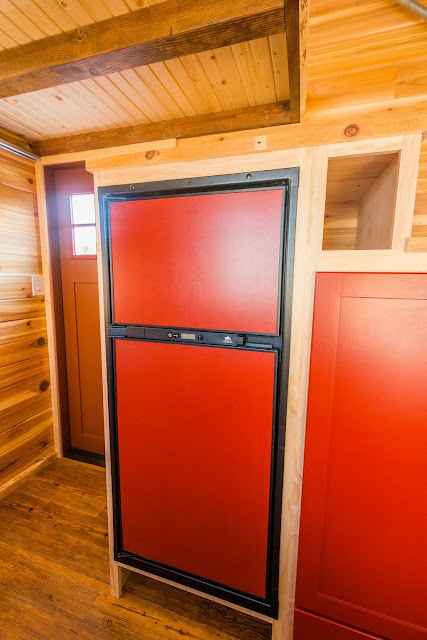 There’s even two entry doors and a cedar fold-down deck with levelling jacks! 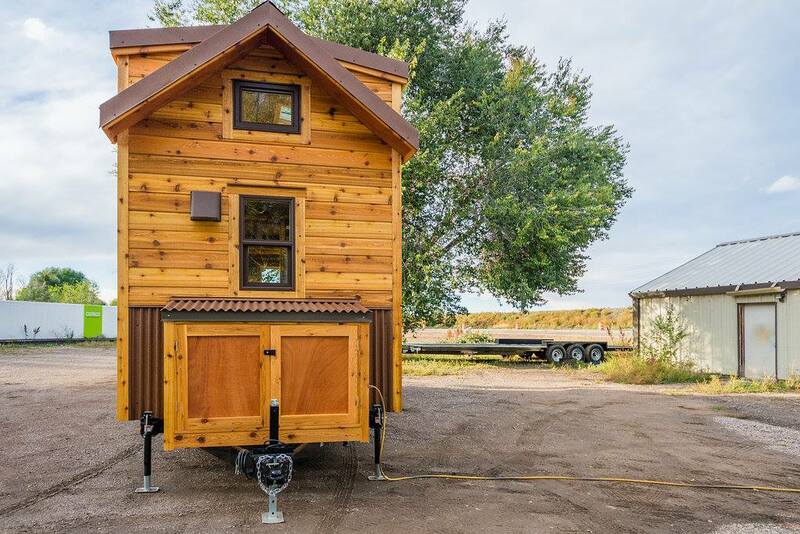 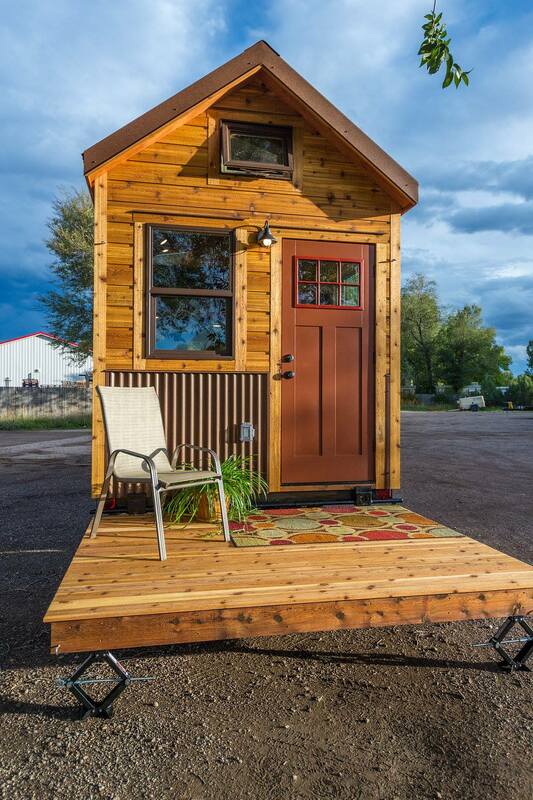 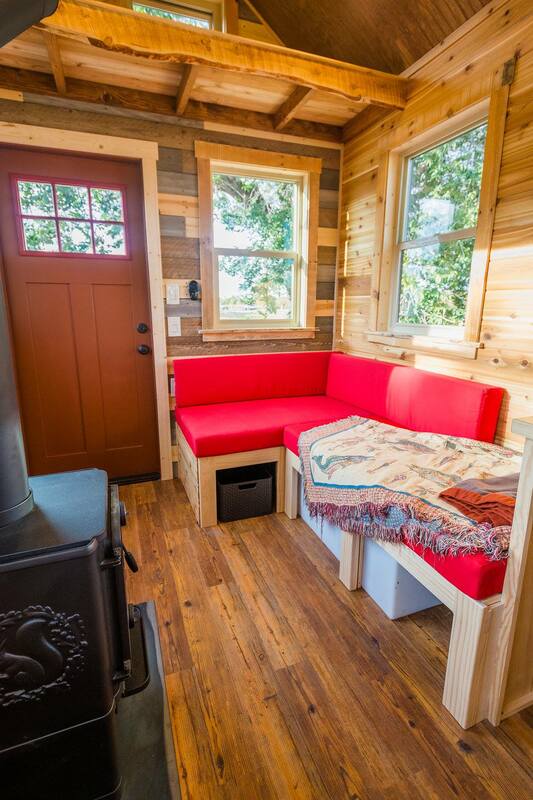 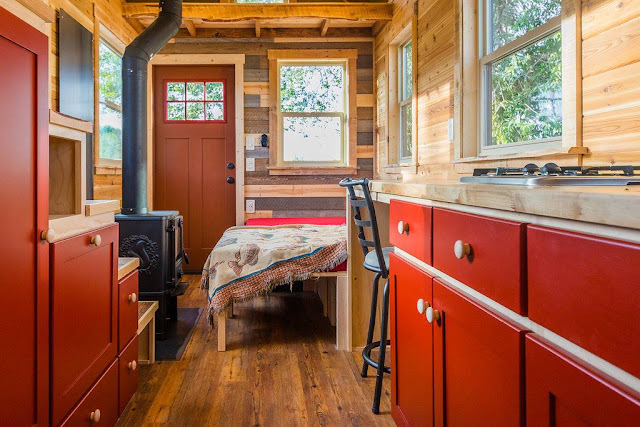 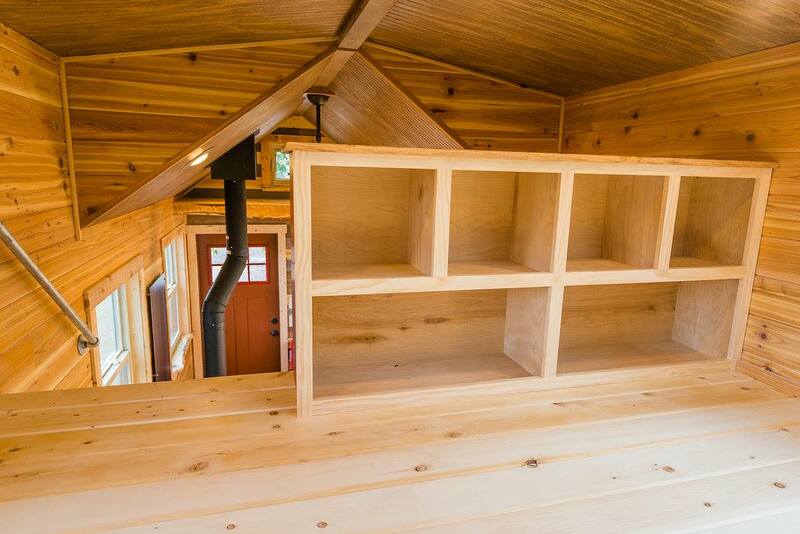 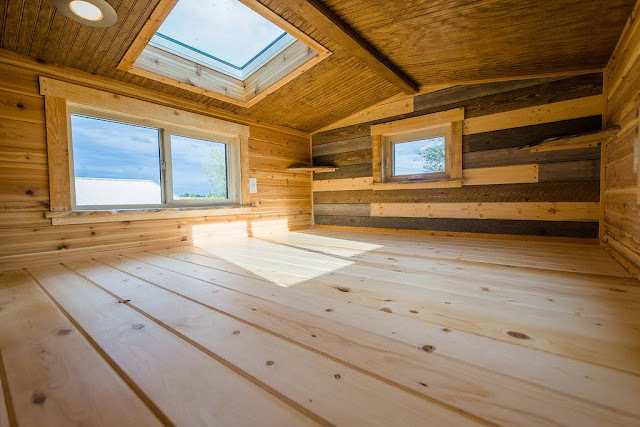 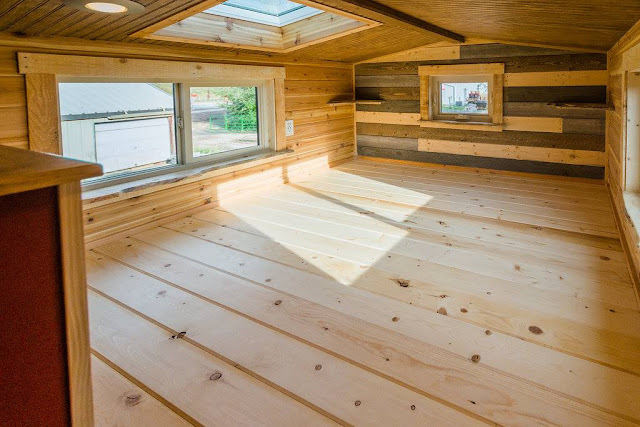 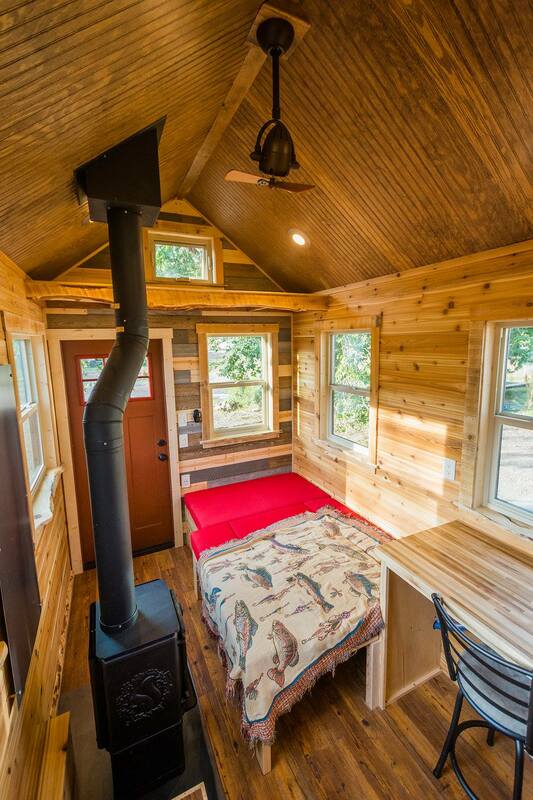 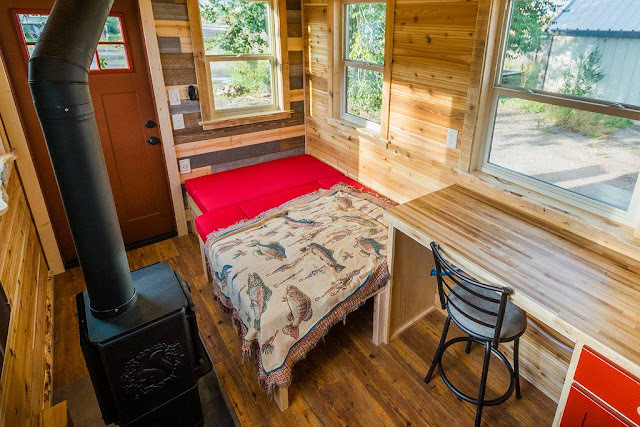 For more information on Mitchcraft and/or this tiny house, be sure to contact the builder here!